Solar Energy Capacity Could Outpace Nuclear by the End of Year https://www.globalcitizen.org/en/content/solar-power-more-energy-than-nuclear-power/ Solar is still marginal in terms of how much it actually powers. By Joe McCarthy , 10 Sept 17, From giant floating farms to solo rooftop installations, solar power is growing in both scale and potential each year. By the end of the year, solar’s global gigawatt (GW) capacity could surpass nuclear energy. By 2022, it could double nuclear power. And by 2050, it could become the largest source of energy in the world, according to new data from GTM Research. Solar power is expected to reach 390 GWs globally by the end of the year, while nuclear energy currently stands at 391.5 GWs. Generating a single GW requires 4.6 million solar panels. But it’s possible that solar energy could blow past that target. After all, China has already more than doubled its 2020 target for solar energy. China is by far the biggest source of solar energy and the biggest investor in the world, with $103 billion in additional investments currently planned. The next biggest investor is the US, with $44 billion planned. As a result of its underestimation, China set a new 2020 goal of 213 gigawatts, up from 105 GW, which is five times as much solar energy as the US currently produces. Globally, solar energy has been surging. Solar energy growth increased by more than 50% in 2016, and is expected to rise again this year. GTM expects growth to remain steady through 2022, bringing total solar capacity to 871 GW. Global Citizen campaigns on the Global Goals, which call for universal access to clean energy and government action against climate change. You can take action on these issues here. Solar is still marginal in terms of how much it actually powers. As of 2016, it accounted for 1.3% of global electricity, compared to an estimated 41% of electricity coming from coal, and 4.5% from nuclear power. That small amount, however, is double what solar produced in 2014, another sign of the technology’s potential. The gap between capacity and actual energy creation stems from the fact that solar panels aren’t always active. When it’s cloudy or dark outside, sunlight doesn’t reach panels for conversion into energy. Further, national energy grids are often unable to efficiently transport and store solar energy, which causes “leakage” of the energy that’s produced. Nonetheless, solar panels are being installed at such a ferocious pace that, if growth rates continue, solar is expected to provide 16% of global electricity by 2050, becoming the primary source of electricity in the world. 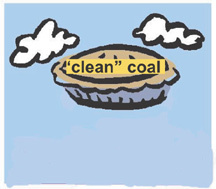 Combined with renewable and non-emitting energy sources, dirty energy sources like coal could become a thing of the past. China on alert for radiation seeping from North Korea’s latest nuclear test. China Worried Over Nuclear Radiation After North Korea Tests, Epoch Times, By NTD Television | September 10 2017 The Chinese regime is on high alert for radiation seeping into China from North Korea’s latest nuclear test. The test took place less than 50 miles from China’s border. The magnitude-6.3 earthquake could be felt by locals and Chinese hundreds of miles away as the nuclear test went off. A smaller tremor followed. It could be from a structural collapse after the first earthquake. The worry is that radiation was emitted into the atmosphere due to underground shifting, The Wall Street Journal reported. 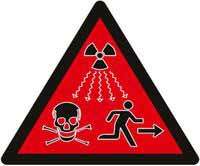 The Chinese regime said that testing centers haven’t detected radiation yet. Soil, air, and water will continue to be tested. Seismologist Steven Gibbons told WSJ that it may take days or weeks to detect radiation. An environmental issue could become a political issue if the regime thinks that it is being perceived as weak on North Korea. The details of what is being considered are classified, and a National Security Council spokeswoman said “it is too early to discuss” the panel’s deliberations, which are expected to wrap up by the end of the year. possessing nuclear weapons or allowing them on Japanese soil. https://www3.nhk.or.jp/nhkworld/en/news/20170910_02/ People in the Japanese city of Nagasaki have staged a sit-in to voice their opposition to the use of nuclear weapons. This comes amid growing concerns over North Korea’s military provocations. The protest was held on Saturday as North Korea marked the 69th anniversary of the country’s founding. Nagasaki suffered an atomic bombing toward the end of World War Two. The attack occurred on August 9th, 1945. A group of survivors and others hold an event to remember the bombing on the 9th of every month at the city’s Nagasaki Peace Park. About 80 people, including survivors of the atomic bombing and high school students, took part in Saturday’s protest. Koichi Kawano, who heads a group of survivors, says he wants to urge the Japanese government to do more to discourage Pyongyang from conducting nuclear tests. Another participant, Sachiho Mizoguchi, is one of the high school students who ask people to sign a petition calling for the abolition of nuclear weapons. She said she took part in the sit-in to protest against the North’s nuclear tests. Eiji Okumura, a survivor of the atomic bombing, says North Korea conducted a nuclear test after the United Nations took a step toward the creation of a nuclear-free world by adopting a treaty that banned nuclear weapons. Okamura said he cannot tolerate the North’s latest nuclear test, and he wants to express his anger through the sit-in. COMMENTARY: It wasn’t the effects of the atomic bombs on Japan that prohibited Japanese medical researchers from publishing on the effects of the atomic bombs. Rather, it was how that information would be seen in New Mexico, which never suspected a lurking killer. Three weeks before the atomic bombs were dropped on Japan, a concept test was made at New Mexico’s Trinity Site. This was an atomic device equal to what was used on Japan. There’s no doubt that in Japan people were sickened by the resultant radiation. But there wasn’t that realization in New Mexico, even to this day. In fact, there’s resistance to that notion. Robert Oppenheimer was the head of the Los Alamos Laboratory that developed the first nuclear weapons. The “Manhattan Project” initially produced three nuclear devices. The first, a plutonium implosion device, was detonated July 16, 1945 at New Mexico’s Trinity Site. Oppenheimer remarked the explosion brought to mind the words of the Bhagavad Gita: “Now I am become Death, the destroyer of worlds.” I certainly understand that thought. That plutonium scattered over New Mexico……..One positive for Japan: The scientists saw how the New Mexico ground blast spread so much contamination, and they exploded the next two nuclear bombs at 2,000 feet to get the blunt force trauma on the site but not contaminate it as had happened in New Mexico. The military sent lots of scientists to Hiroshima and Nagasaki to monitor the radiation but seem to have not done so in New Mexico. Or, perhaps they did and the government authorities realized what a mess they made in New Mexico. Worse, they didn’t want the role of cleaning up this God-awful mess. Curious, eh? As the decades have passed and the New Mexicans who were sickened by the plutonium passed, the interest in this story has gone from very little to none at all, except among those people effected. Welcome to the New World of Wildfires, http://www.truth-out.org/news/item/41887-welcome-to-the-new-world-of-wildfires, September 09, 2017, By Dahr Jamail, Truthout | Report When one envisions the US Pacific Northwest, one thinks of green ferns, moss-covered trees in Olympic National Park, or the Hoh Rainforest, where annual rainfall is measured in the hundreds of inches. Moisture, greenery, evergreens, abundant rivers. It’s a large part of the reason why I live here. But thanks to abrupt anthropogenic climate disruption (ACD), this region is shifting at a rapid pace. On the Olympic Peninsula where I live, this has been the summer of wildfire smoke. Washington Gov. Jay Inslee declared a state of emergency for his entire state on Saturday September 2. Smoke from various wildfires has been a near-constant in this part of the country for the past month. Roughly a week ago, we were enshrouded by smoke from multiple wildfires across Oregon, and before that, we spent nearly two weeks breathing in thick smoke from the over 1,000 wildfires that scorched British Columbia up the coast from us. Stepping outside, the world appears a surreal yellow. The sun varies from not being visible, to emerging as a yellowish orange bulb even during the middle of the day. When it sets, it has often appeared blood red through the thick smoke. NASA satellite photos show the smoke plume even reaching the East Coast. Given past and recent scientific reports, this is apparently the world we, and much of the rest of the United States, had better prepare to live in from now on. The smoke plume from all of these fires, at the time of this writing, extends from up into British Columbia all the way down into central Oregon. A wildfire outside Portland has forced hundreds of residents to evacuate while it burned out of control in the Columbia River Gorge. That is just one of 81 wildfires burning across the US at the time of this writing, with 20 of those fires in Oregon alone. Climate researchers have been warning us for a long time that increasing temperatures and more intense droughts will logically cause dramatic escalations in the number, heat and ferocity of wildfires. A study published earlier this year showed that human-caused greenhouse gas emissions have increased the likelihood of extreme heat events across more than 80 percent of the planet. Last fall, researchers published the results of a study that showed ACD accounted for approximately half of the increase in wildfire fuel aridity (forest dryness) in the Western US since just 1979, causing the area of the US West affected by forest fires to double in size since 1984. According to Inside Climate News: “Nine of the 10 worst fire seasons in the past 50 years have all happened since 2000, and 2015 was the worst fire season in U.S. history, surpassing 10 million acres for the first time on record. So far this year, wildfires in the US have burned 7.8 million acres, but the fire season is far from over. The average fire season is 78 days longer than it was in the 1970s and now lasts nearly seven months — beginning and extending beyond the typical heat of summer. By April of this year, wildfires had scorched more than 2 million acres in the US — nearly the average consumed in an entire fire season during the 1980s. When it comes to hot weather — and relatedly, fire — this has been a summer for the record books in the West. During the first week of September, San Francisco saw a stunning record high temperature of 106°F, amid a heatwave that saw 36.5 million Californians (98 percent of the state population) living under a heat advisory issued by the National Weather Service. Earlier this month, Los Angeles saw its largest wildfire on record scorch 7,000 acres before rains from a remnant tropical storm helped firefighters get the upper hand. Yale Environment 360 warned of this likelihood last December. The magazine, published by the Yale School of Forestry & Environmental Studies, reported that as the Arctic continues to warm twice as fast as the rest of the globe, winds in the upper atmosphere would be pulled into the polar zone and cause the jet stream to become wavier during extreme weather patterns. This is a more technical explanation for the fact that, as another study warned in March, these new weather patterns will generate record heatwaves and wildfires — precisely what we are seeing now across the West. And given that there are no serious, large-scale ACD mitigation efforts happening, least of all within the United States, we can count on these trends to amplify and worsen with time. Tackling deforestation should be higher on the climate change agenda. Deforestation Has Double the Effect on Global Warming Than Previously Thought http://readersupportednews.org/news-section2/318-66/45666-deforestation-has-double-the-effect-on-global-warming-than-previously-thought, By Aristos Georgiou, International Business Times 08 September 17 Tackling deforestation should be higher on the climate change agenda. n the fight against climate change, much of the focus rests on reducing our dependence on fossil fuels and developing alternative energy sources. However, the results of a new study suggest that far more attention should be paid to deforestation and how the land is used subsequently – the effects of which make a bigger contribution to climate change than previously thought. The research, conducted by Cornell University and published in the journal Environmental Research Letters,shows just how much this impact has been underestimated. Even if all fossil fuel emissions are eradicated, if current rates of deforestation in the tropics continue through to 2100 then there will still be a 1.5 degree Celsius increase in global temperature. Most scientists believe that a temperature increase of 1.5 degrees above pre-industrial levels will bring dangerous disruption to the world’s climate. Indeed, many already think this target may be unattainable. Mahowald argues that in addition to reducing reliance on fossil fuels, scientists and policymakers must pay more attention to deforestation and the subsequent changes in land use for agricultural and other human industry. The negative consequences of this process are manifold. When deforestation occurs, the burning of trees and plants releases carbon dioxide – a greenhouse gas – into the atmosphere. The problem is compounded when the land is then converted to farming or other human usage, releasing large amounts of other greenhouse gases like methane and nitrous oxide. Furthermore, the deforested area can no longer function as a carbon sink – trees and plants absorb carbon dioxide from the atmosphere. The research showed this process has double the overall warming contribution than previously thought making it “twice as important” in Mahowald’s eyes. As agriculture expands in the tropics and pressure to turn rainforest into cropland increases, Mahowald advocates looking further forward in time to truly assess the impact that these practices have on the climate. By Mike Ludwig, Truthout | Report Earlier this week, while residents of south Texas wondered whether dangerous chemicals from the chemical plants, refineries and toxic waste sites that flooded during Hurricane Harvey were floating in their air and water as they returned home, Republicans in the House were working to eliminate funding to a federal program that identifies health hazards posed by chemicals in the environment.On Friday, soon after passing a bill that would raise the federal debt ceiling through December and provide $15 billion in relief for communities impacted by Hurricanes Irma and Harvey, the House considered a number of budget riders that would slash environmental protections established under the Obama administration. Those protections included rules designed to curb to pollution that scientists say contributes to a changing climate and intensifying storms. With a comfortable majority in the House and Trump appointees at the helm of agencies like the Environmental Protection Agency (EPA), House Republicans have been eagerly working to gut environmental regulations and spending on interior programs. As Hurricane Harvey and Irma devastate coastal communities and wildfires rage across the West, these lawmakers are looking increasingly out of touch. On Wednesday, a Republican-led House subcommittee held a hearing on the EPA’s Integrated Risk Information System, which conducts health assessments of chemicals and determines what levels of exposure are considered “safe” in air, water, food and soil. The program’s findings are often used to justify regulatory restrictions that the chemical industry does not like, according to the Natural Resources Defense Council. “This hearing is particularly timely, as Texas and Louisiana work to protect public health, restore safe drinking water and evaluate risks from contaminated floodwaters and chemical releases,” Burke said in his written testimony. However, two experts with ties to the chemical industry criticized the program, and the committee’s chairman, Rep. Andy Briggs (R-Arizona), offered an amendment to a major appropriations bill for funding the EPA and Interior Department that would eliminate all funding for the Integrated Risk Information System. The House’s $31 billion interior spending bill would slash the EPA’s budget by $528 million, a considerable cut but not as deep the more than $2 billion in cuts proposed by the White House and ultra-conservative lawmakers, according to reports. The bill contains a number of riders that infuriate environmentalists, including measures that would block Obama-era standards designed to reduce smog, make oil and gas drilling in the Arctic safer, restrict the amount of climate-warming methane that oil and gas drillers can spew in the atmosphere, and require government agencies to consider the economic and social costs of carbon pollution when writing regulations. Democrats offered their own amendments to the spending bill, including riders that would prevent the Trump administration from closing regional EPA offices and selling off public lands to private companies. However, Republicans hold a powerful majority in the House, so amendments that environmentalists support may not survive ongoing budget negotiations. On Thursday, lawmakers voted down a bipartisan rider introduced by lawmakers in New Jersey and Virginia that would have prohibited federal funding for controversial seismic tests needed to initiate offshore oil drilling in the Atlantic Ocean, despite widespread opposition to offshore drilling on the East Coast. Why Nuclear Energy May Not Be Our Best Alternative Option To Fossil Fuel, Forbes, 9 Sept 17 , Michael Barnard, low-carbon innovation analyst, on Quora: “…..Nuclear ….environmentalists aren’t nuclear power’s problem. Nuclear power is a 1970’s solution and hasn’t aged well. It hasn’t become cheaper, more flexible or more ubiquitous and it won’t. It’s failing in the marketplace, not due to environmentalists. …… Should we pay much attention to expanding nuclear? No. Why bother wasting breath on something that doesn’t have a business case……. Why Nuclear Energy May Not Be Our Best Alternative Option To Fossil Fuel, Forbes, 9 Sept 17 , Michael Barnard, low-carbon innovation analyst, on Quora: “… From a carbon capture and sequestration perspective, there’s exactly one sequestration project associated with a coal generation plant which is actually sequestering any reasonable amount of carbon. It’s in Saskatchewan, Canada. It was operating at 40% of targets for months and nobody noticed. It’s very expensive. I did an assessment of all sequestration efforts in Australia over the past 19 years recently and found that they had spent $4,300 AUD per ton to sequester a vanishingly tiny fraction of Australia’s emissions. Hurricanes Blow Away Climate Change Denial, Consortium News September 10, 2017 The startling landfall of two giant hurricanes – feasting on especially warm water off Texas and Florida – crashes into the climate change denialism that has been politically popular on the Right, notes ex-CIA analyst Paul R. Pillar. Correctives to this awful trend are difficult to identify. The tribal belief system that prevails in most of the American population, in which people chiefly listen to and believe sources they identify with politically or socially and had already been telling them what they want to hear, is so well entrenched it seems almost impossible to overcome. Many people reject factual corrections as a form of bias and unfair treatment by sources (such as the “left-wing media”) with which they do not identify politically or socially……. The overall connections, in other words, in terms of cause, effect, and degree of risk are unquestionable, even if no one case of lung cancer can be blamed on any one pack of cigarettes……..
yet the energy transition will not be difficult to finance. energy consultancy DNV GL, under the name Energy Transition Outlook (ETO). company’s experts who work in all sectors of the energy industry. previous accidents, particularly Chernobyl and Fukushima-Daiichi. be established between experts and affected communities. they can decide what food to eat and when to return to their homes. experts. It is funded by the EC’s Euratom programme.